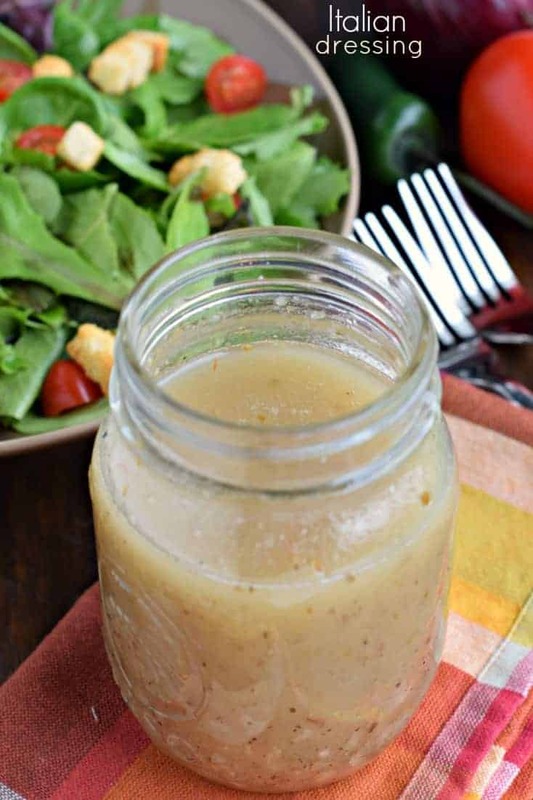 This zesty Homemade Italian Dressing is a cinch to make at home, and tastes better too! Poured on a salad or used as a chicken marinade, this dressing is scrumptious! I’ve learned it’s so easy to make your own dressing at home. Not that I am against store bought, I use it all the time, but sometimes whipping up a fresh dressing is called for! Especially if you don’t feel like running to the grocery store. And yes, they sell the seasons mix, but why not try it at home from scratch? I’ve got a delicious Shrimp Pasta Salad recipe coming for you tomorrow, but in the meantime, let’s talk about dressings. Or in my husband’s case, lack thereof. I love eating salad. I know that sounds so ridiculous, but if I go out to eat, I always get a side salad. ALWAYS. Even if it doesn’t come with the meal. I started doing this when was I young and thin and wanted to fill up on healthy greens before my meal. Now I’m old and well, not thin, and I still love filling up on the healthy greens. However, I love to try out new salad dressings from restaurants (especially italian salad dressings). And if they can toss on fruit, nuts, croutons….all the better! Hubby, on the other hand, eats dry salad. Like a turtle just gnawing on lettuce leaves. So today’s Italian Dressing is delicious for most people. Not all. Not condiment haters. No amount of delicious dressing could convince my husband. 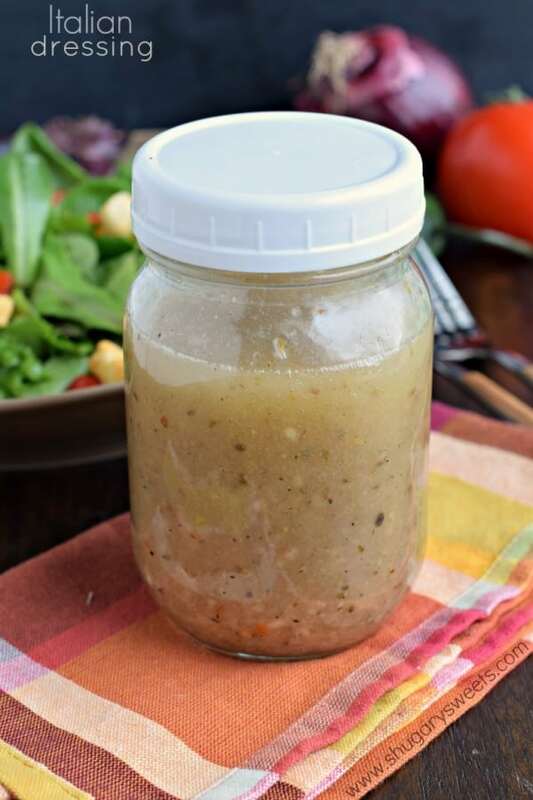 BUT, those of us who love italian dressing will LOVE this easy homemade version. When chopping the red pepper, make sure it is very finely diced. You don’t want a big hunk of it in your dressing. in my cabinet to aid in keeping my jars sealed. 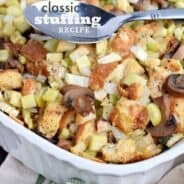 Make the dressing at least 4 hours ahead of time. Even the day before is great. It gives the flavors time to combine. SHAKE SHAKE SHAKE. And then shake again before serving. Serve drizzled on a fresh green salad, or check out my Shrimp Pasta Salad!! Some people like their italian salad dressings served at room temperature, however I personally prefer them chilled. Your choice! This salad dressing makes a great marinade on chicken. Place your raw chicken in a large bowl or ziploc bag. Add enough dressing to cover and refrigerate for 4 hours. Grill or bake chicken according to recipe and enjoy the zesty flavor! Adding this Italian dressing to a pasta salad is perfect. Toss your cooked pasta (I actually love to use cheese tortellini) with some diced vegetables and this dressing. Serve and enjoy! Have you ever tried adding Italian salad dressing to your ground beef? Add a little drizzle with an egg and breadcrumbs to your raw beef. Shape it into a loaf, this makes a delicious meatloaf! Caesar Dressing: make it at home without raw eggs and anchovies. TRUST ME! 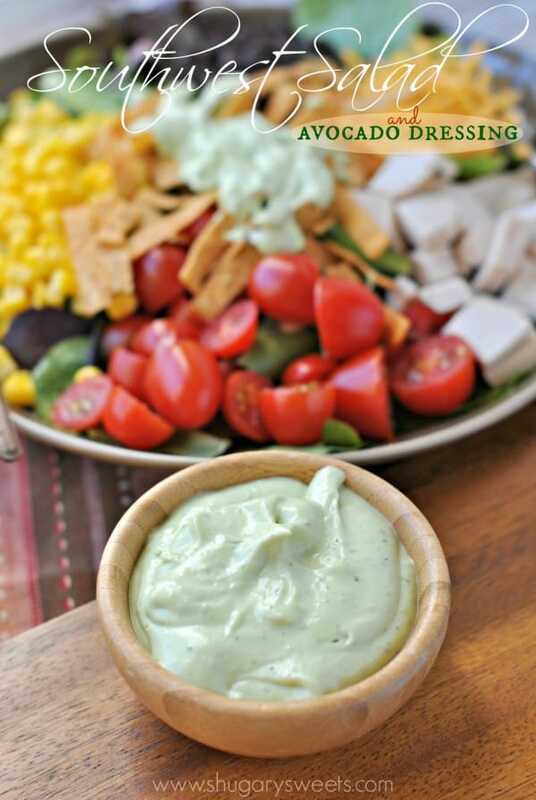 Southwest Salad with Avocado Dressing: everything about this is calling my name! 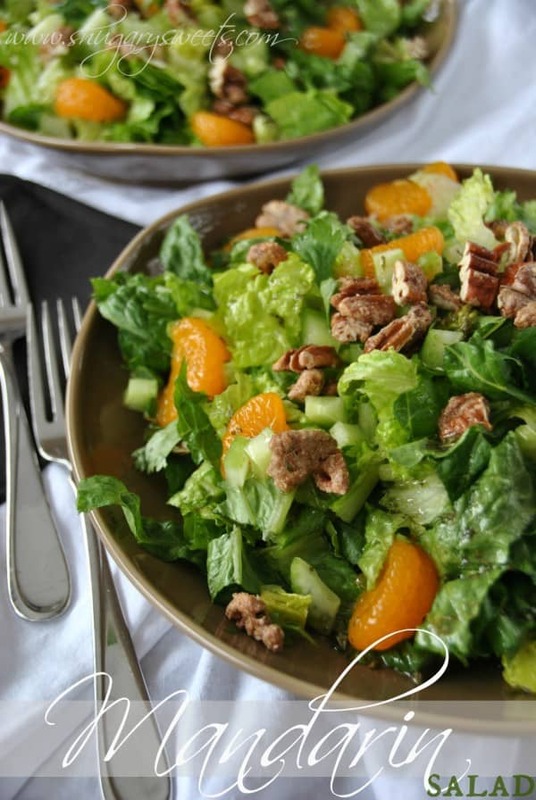 Mandarin Salad: fresh, light with a homemade dressing! This Harvest Salad recipe has the most delicious Poppy Seed Dressing! In a pint sized mason jar, combine all ingredients. Shake vigourously and allow to chill in refrigerator for 4 hours or more. Shake before using. This zesty homemade italian dressing recipe was first published on Shugary Sweets May 13, 2015. The text has been updated and republished in April 2018. Haha your hubby eats salad like a turtle! That was a good description! Ok, so I’m all about homemade dressings, but I haven’t taken the full plunge yet. I’m all “how long do they last?”, “how long can they keep?”, “where do I store them?”. 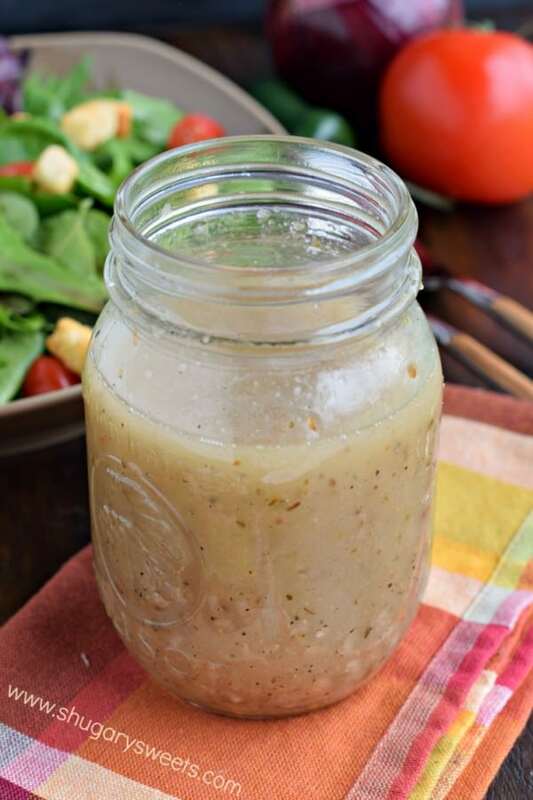 Salad dressing still eludes me, but I love your recipe for a classic italian dressing! That PSA is Hilarious!!!! Too bad he missed out on that yummy Italian Dressing. I would consume the whole jar in like 4 salads. ha ha! Gosh, I LOVE Italian dressing so much! This homemade version looks so robust and delicious! Love Italian dressing and love to make my own. Hilarious! 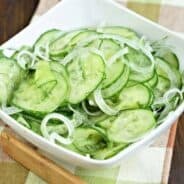 Dry salad? Who eats dry salad when this epic homemade salad dressing exists!!!!?????? His salad is completely lame without this dressing! yum! I’ve been wanting to tackle homemade Italian dressing! How long does a jar of homemade dressing last? I need to start doing this and not buy the ones from the grocery store. Yum! Gotta try this out for sure! None of those crazy preservatives, either. Thank you! 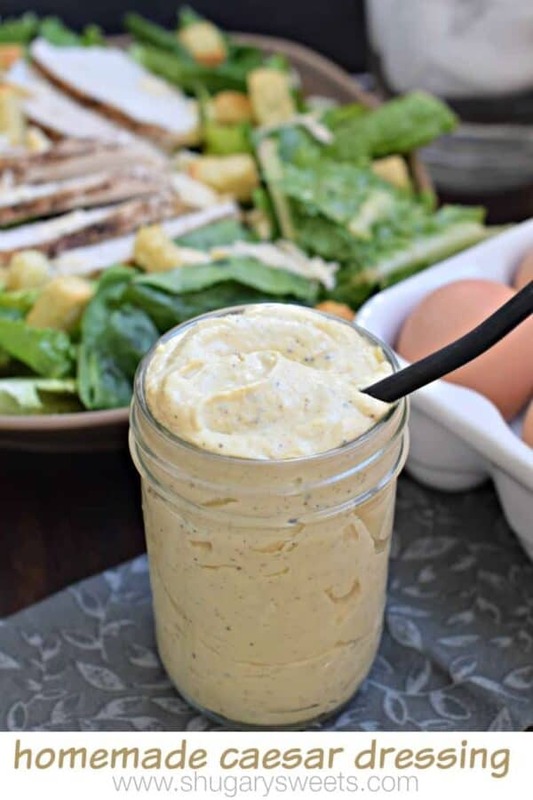 And your recipe for that dressing mixed with a spoonful of mayo will make an amazing condiment for any sandwich of any kind! I have actually wasted an hour this morning searching for your actual recipe for the Italian Dressing recipe! I found your tips and directions, BUT NO INGREDIENTS TO USE TO PUT IT TOGETHER. i AM 77 years old and this has caused me great frustration. Have even attempted to obtain through Google to no afail. Give up? Yes, I do. Shame on those of you who make it difficult to get your recipes that we would LIKE TTO HAVE! If you’re able to comment, then you’re in the right place. I’m not sure if you are looking on a phone or desktop, but if you scroll up, it’s there. Sorry you seem to be having a struggle to find it. THis looks delicious but I too couldn’t find the actual recipe & this is the second time I’m trying. I was only able to finally see it after I clicked on the comments & then scrolled up and voila it was there! Not easy to find but looks worth it! 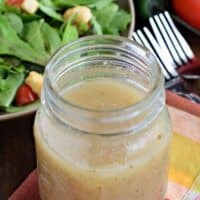 I’ve always wondered about how long homemade salad dressing would last and your post made me go look, LOL.